Many times, purchasing a scale for your business isn’t a very complicated process. You simply determine the maximum capacity, accuracy and platform size that you need, find a scale manufacturer and make a purchase. If your business requires that you use a non-standard platform sized scale or you need superior resolution, a specific data output, certain corrosion resistant properties or a completely customized weighing solution, many companies will not be able to meet your needs. If a company claims that they can provide you with a customized scale, you’ll likely spend weeks, if not months going back and forth with a variety of suppliers and distributors to try to create a product that you need right away. When you work with Arlyn Scales, you’ll experience an unparalleled level of service that you’ve never seen before in the weighing industry. We offer a variety of customized scales, including our patented high-resolution scales that are truly unmatched in the industry. Seeing as how we manufacture all of our scales in-house in our Long Island facility, we’re able to eliminate costly markups and confusion due to dealers and distributors. Because of our engineering expertise along with US-based manufacturing facilities and our factory direct business model, we’re able to offer the best scales to our customers at an incredible value. If you have a weighing application that requires high-resolution measurements, you’re in luck thanks to our Arlyn Ultra Precision Scales. These scales offer high-resolution measurements at a fraction of the cost of magnetic force restoration (MFR) scales. Comparing our patented technology to the industry standard strain gage weighing technology, our scale offers 10 times better accuracy and 20 times better readability at roughly 1/3 the cost of a MFR scale. Another problem with MFR scales is that their capacity is relatively small and as their capacity increases, their precision decreases significantly. 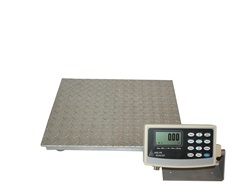 With our Ultra Precision Scales, we offer capacities of up to 500 pounds with a resolution of 0.005 lb. and a readability of 1 part in 100,000. This is compared to a strain gage scale, which offers a resolution of 0.1 lb. and a readability of 1 part in 5,000. • USB – This method of connection is an extremely common way for equipment to communicate. With our USB Remote Software, you can easily import weight data directly into an MS Excel spreadsheet or Access database. Using our software, you can also remotely control your scale through a PC running our proprietary software. • Ethernet and WiFi – Our scales can also connect via Ethernet or WiFi. Using Arlyn’s Remote Indicator Software, you can easily connect to your scale wirelessly. Easily store, analyze and group data from any PC. With our WiFi connection, you can also access your scale remotely from an offsite machine. • Cloud – Mission critical weight data can be extremely important for your organization. That’s why some companies choose to store their data in the cloud for security purposes. Our scales offer full support for cloud storage options and allow users to access their data from any computer that has been given access. • Other Options – We also offer a host of other connectivity methods including RS-232, RS-485, datalogging to a flash drive and even analog outputs such as 4-20ma. Scales can be manufactured with a variety of different materials, depending on your unique needs. The material that you choose such as stainless steel, aluminum or steel will depend largely on the scale’s purpose as well as the environment in which it will be used. If you’re looking for an extremely lightweight scale, you’ll want to invest in an aluminum body. However, if you are working with corrosive chemicals, you’ll want something that is better able to resist the caustic nature of these chemicals such as stainless steel. Our set point controller allows customers to automate manufacturing processes through simple batching as well as PLC-type functions. This application is most often used in mixing and batching. Output lines can be controlled by the weight on a scale’s platform. You then can set up to 8 target weight values and use them to control other equipment. Easily start and stop feeders, solenoids, mixers, motors, valves and other devices. • A custom solution where multiple scale platforms are used to mix separate ingredients into 55-gallon drums. • Scales that are able to automatically dispense needed chemicals into a waste treatment facility. • A scale solution that automatically weighs packages on a conveyor system and compares the weight to an expected weight. • A system in which two scale platforms hold cylinders of liquefied gas. The gas is dispensed from one cylinder and when the cylinder is almost empty, a signal is sent to a valve that prompts materials from the other cylinder to be dispensed. When you’re looking for a custom weighing solution that not only meets your needs, but also makes you more productive, Arlyn Scales should be the first company that you call. Contact us today to discuss your custom needs with one of our experts.